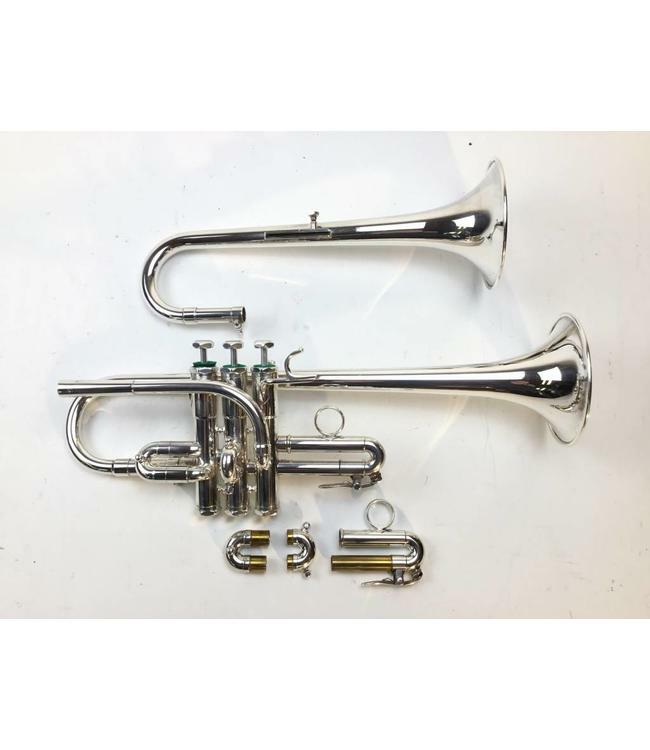 Used Schilke three valve G1L G/F tuning bell trumpet in silver plate. Instrument is in good condition with minor surface scratching and minor plating wear at the bottom of valve cluster. Includes case.